In October, Joan Adler gave three talks. One was at a meeting of the Jewish Genealogical Society of Los Angeles on October 8. The next presentation was to the San Francisco Bay Area Jewish Genealogical Society on October 15 and the final talk was in Palo Alto on October 16. As director of the Straus Historical Society for 27 years, Joan has had the privilege of researching and writing about the lives of many amazing people. She has reconstructed the lives of Straus family members within the context of their social, political, historical and religious environment. Her presentation suggested several methods of documenting the stories of a family in newsletter or book form in a way that is not overwhelming, even for those who feel they have no writing talent. She told fascinating and funny stories about Straus family members as a platform upon which to illustrate her points. She brought several examples of the kinds of newsletters and books that are easy to create and of a professional quality. In the end each person came away with many new ideas and the inspiration to try their hand at a writing project. The talks were well attended and Joan received very positive feedback. On March 12, Joan Adler was a Guest Speaker at the Holocaust Memorial & Tolerance Center’s Reel Upstanders presentation of the documentary film No Aslyum: The Untold Chapter of Anne Frank’s Story. 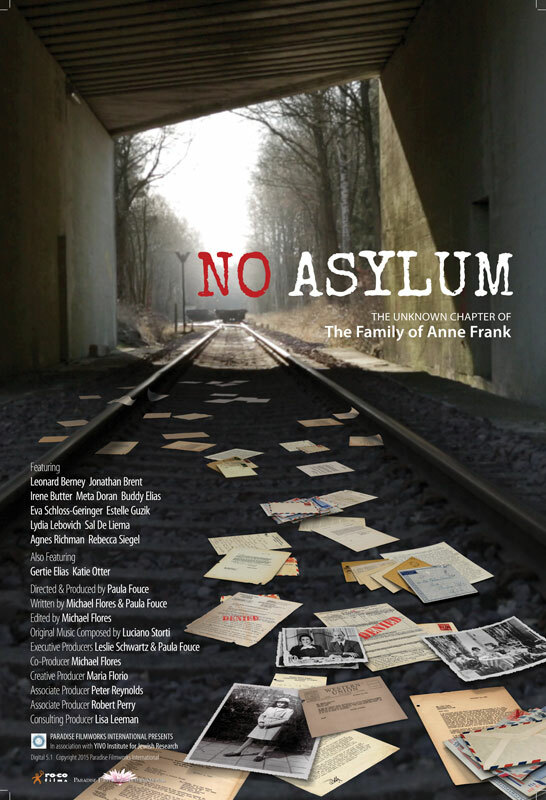 This film, directed and produced by Paula Fouce, is based on recently discovered letters written by Anne Frank’s father Otto, No Asylum features Anne’s only surviving family members, Buddy Elias and Eva Geiringer-Schloss, discussing the Frank family’s last efforts to seek refuge in America before going into hiding in 1942. ​After watching a portion of the film, Joan Adler gave a presentation about her book, For the Sake of the Children: The Letters Between Otto Frank and Nathan Straus Jr. The film was then completed and was followed by a Q&A via Skype with Paula Fouce and Joan Adler. The event was attended by over 80 guests and was well received by all. We are so grateful to Tracy Garrison-Feinberg and Mireille Taub for planning this wonderful afternoon. We hope to return to the museum again in the future!